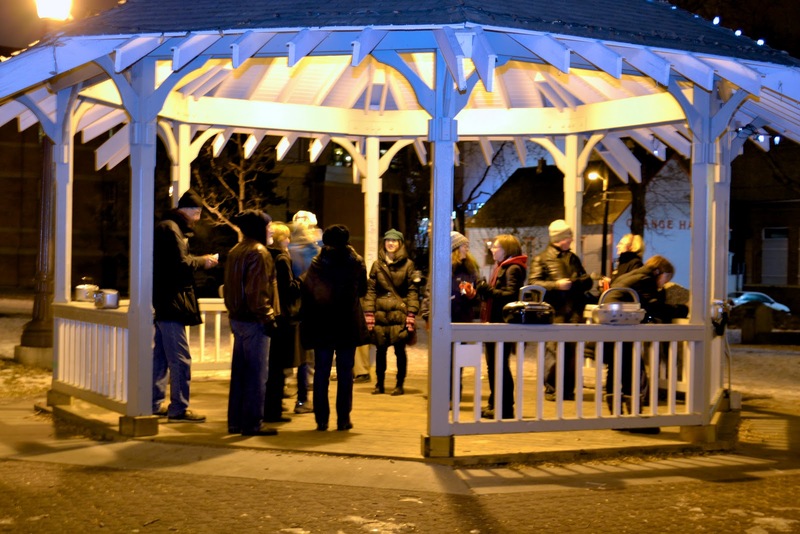 Tonight I had the chance to be a part of an outdoor electroacoustic soundscape event called "Unsilent Night." In 1992, Phil Kline, wanted to create a public work of art in the form of a holiday carolling party so he composed four 45 minute electroacoustic music tracks which, when they are played simultaneously, form the piece "Unsilent Night." 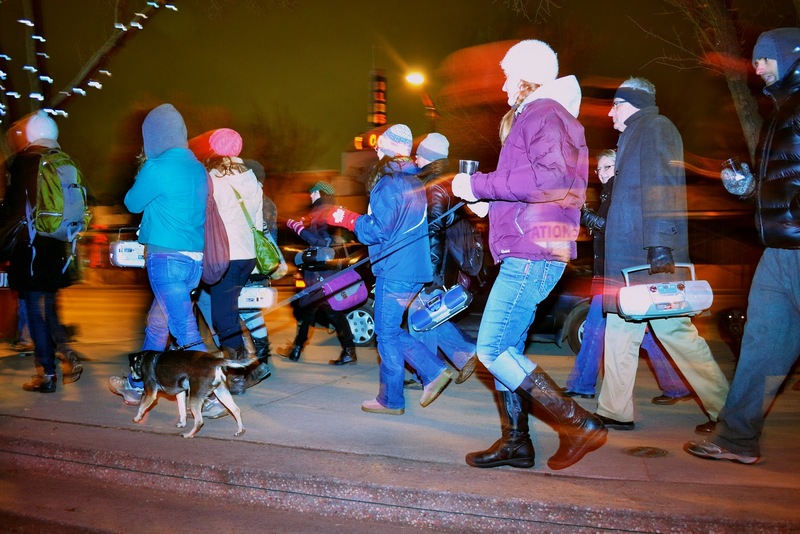 The music is carried through the streets creating a traveling Christmas soundscape. It was very cool. 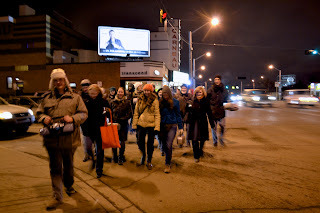 Everybody downloaded the music track, brought a boombox or external speakers for their mp3 players, we hit play, then we started on a promenade through the streets of Edmonton. It was the first time Edmonton has hosted this event (thanks Leanne!) 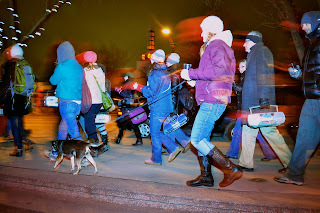 and we had a turnout of 20 enthusiastic individuals. The most interesting part was hearing the different movements of the piece coming from all the individual speakers. While one stereo had a drone portion, another would have a melodic line with twinkling bells and another would have a chant-like choral line. My stereo just so happened to have the choral line. It was neat to see people's reactions as we walked past. There were lots of waves from people sitting inside restaurants and people on the street with quizzical looks as they walked through our group and were enveloped in our sound. 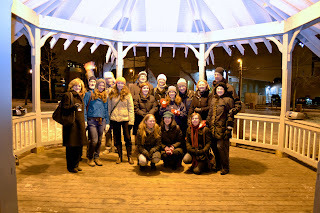 When we finished our walk from the University to the Old Strathcona gazebo, we placed all of our stereos on the ledge facing in and enjoyed the last few minutes of the piece as we stood in the center. It was a fun evening with new and old friends and some fantastic music. I'm looking forward to next year's event already.